The first wedding of 2015 and Brittany and Phil didn’t let me down! An absolutely gorgeous and sweet couple who were a complete joy to work with! This was a second marriage for the couple but one wouldn’t know because they didn’t hold back while planning this event. And off the bat I could see they were truly madly deeply, head over heels in love. And not just any pair of heels, but a pair of Tiffany Blue heels of course! When I think of a Tiffany Blue wedding, I automatically pair it with bling! And that is exactly what Brittany and Phil did as far as décor for their wedding day. They accented the tiffany blue color with a pretty pale pink and lots of bling, which transformed the ceremony and reception space at the classic and elegant Dayton Country Club. During the ceremony, Brittany walked into the ceremony space but suddenly stopped at the bar and took a huge drink out of an open wine bottle. Yes straight out of the bottle, no wine glass required!!! She totally set the tone for the rest of the evening, while getting tons of laughs from her guests. Brittany’s daughters, Alexandra and Victoria, were the only 2 members of the small but intimate wedding party and played a huge part in the day. After toasts, Brittany’s youngest daughter surprised her mother and step-father with a special song and there was not a dry eye in the room, including mine! It was so sweet! For the reception Brittany changed into a short and sophisticated sequined cocktail dress for dancing! This family sure knows how to party! Thank you to Brittany and Phil for a great start of my 2015 wedding season this year! LOVE IS IN THE AIR!!! 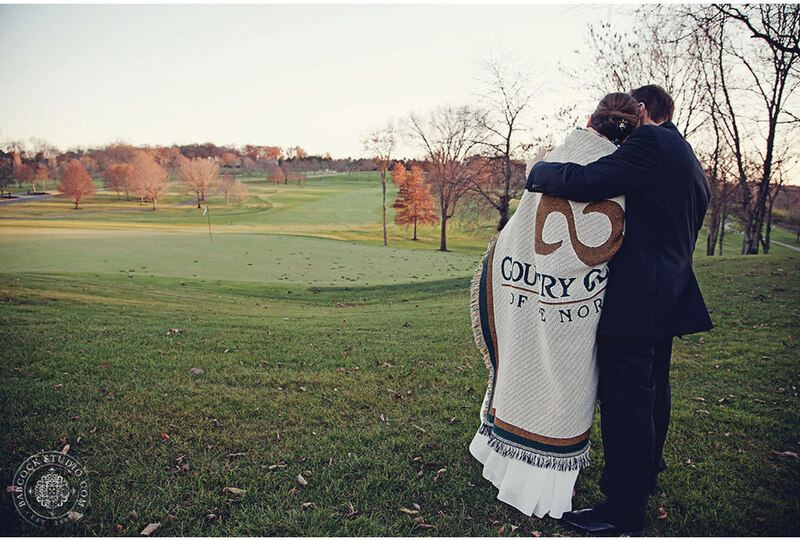 A gorgeous wedding at the Country Club of the North in Beavercreek Ohio. This was a truly personalized and classic event which really reflected the couples style and attitude. Debby and Norm’s wedding was a lovely intimate affair. Since this was a second marriage for both Debby and Norm they opted for a very small and intimate wedding with their closest family and friends. Their own children played a huge role in the events of the day. Since Debby and Norm were no strangers to saying “ I DO” they knew exactly what they wanted for their BIG day. And keeping it simple but elegant was part of the equation. And they did just that.